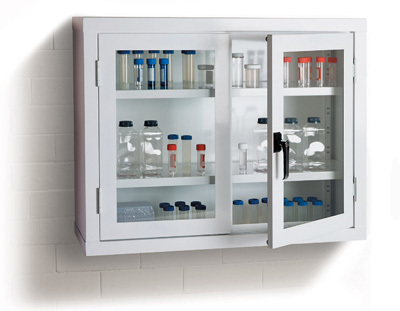 The range of Viewcab sheet steel storage cabinets are suitable for a number of working environments including laboratories, schools, universities, factories etc. 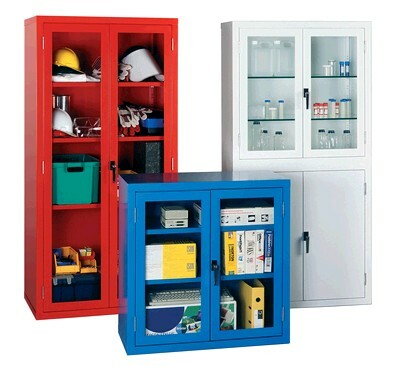 The cabinets are available in three different sizes. Viewcab doors are reinforced and use 6mm laminated safety glass to BS 6206, so you can view your stored items without compromising security. Chrome lever locking handle with semi-concealed internal mechanism. Steel shelves capacity 75kg per shelf UDL. Laminated glass shelves 50kg per shelf UDL.